The SP-850 is an affordable, powerful all in one, with a flexible design that easily integrates into a variety of point of sale set ups. The SP-850 is a powerful yet energy efficient computer, easily running POS programs. The bezel free PCAP (projected capacitive) screen makes the SP-850 suited to many POS environments. 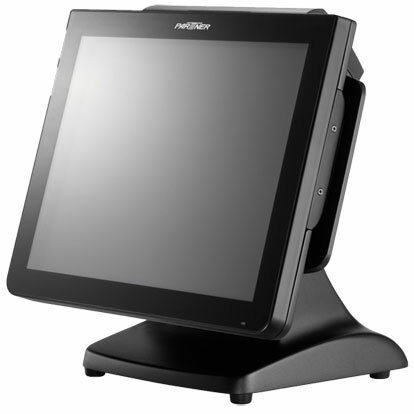 With a sleek, modern design and multi-touch screen, the SP-850 is a future-proof solution for your POS system. The front panel features an IP65 seal, protecting against spills and dust, while an IP54 seal on the rest of the unit protects against dirt and splashes. The Partner Tech SP-850 builds on the SP-800 line of all-in-one POS computers with it´s compact form factor and fanless, high performance system.